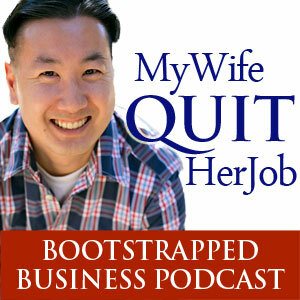 When I first decided to start my own podcast, the benefits were already clear in my head. I had no idea about the mechanics of how to start a podcast. I had no idea how to postprocess audio in order to make it sound great. I had no idea what equipment to buy. In addition, I did not want to pay someone $1000+ to teach me a bunch of extraneous info that I probably did not need. For example, I already had a platform and a voice at MyWifeQuitHerJob.com. I already knew what I wanted to do. The only thing that I needed to learn was how to create and launch a high quality podcast in the shortest amount of time possible. That is why I created this how to start a podcast tutorial. 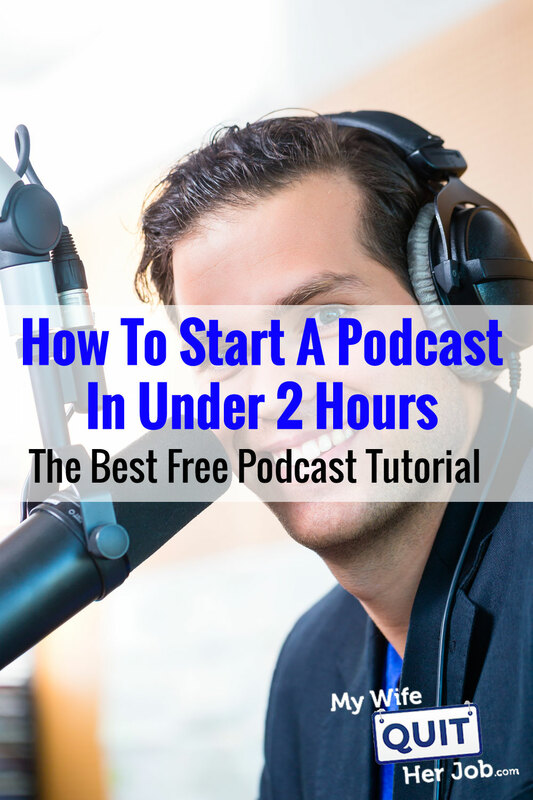 This podcast course is aptly named “The Most Comprehensive Free Podcast Tutorial Ever” because it is 100% free and it will teach you how to launch your own podcast right away within the next 2 hours. To be honest, my original plan when I first created this course was to charge $99 for it. But as soon as I got back from the Financial Blogging Conference, I had a sudden change of heart. I have been so blessed over the years for being a part of such an incredible blogging community that I decided to pay the community back and give it away for free. Sharing this podcast tutorial like crazy! Using the techniques described in this course, I launched my podcast and hit the #1 podcast in all of iTunes in the Business and Marketing category within 4 hours. Being perched on top of the iTunes charts immediately gave me a ton of exposure and as a result, my blog traffic spiked and my blog income and email subscribers have since increased over 25%. Launching a podcast is great way to reach a brand new audience and the best part is that you can keep your listeners engaged for up to an hour or more! Podcasting has had a profound effect on all of my online businesses and I’m happy to share the exact steps I took to achieve my success in this class. How To Launch – Learn how to launch your podcast to the #1 spot. Scroll down to begin the tutorial! The easiest way to host your podcast is to do so using WordPress. Not only can WordPress host your blog but it can also generate the RSS feed for iTunes and Stitcher radio. I’ve written up step by step instructions below on how to start a WordPress blog in the easiest way possible and for the lowest possible cost using a reputable webhost. The first step is to sign up for a webhost. After all, you need to have a computer server in order to run your site. Personally, I recommend Blue Host. Now it’s often difficult to tell whether a webhost is reliable or not at first glance, but I can vouch for Bluehost because I ran my online store on Blue Host for over 2 years and they were fantastic. And the best part is that they only cost $4.95 a month! Click on the “SIGN UP NOW” button. Choose a domain. 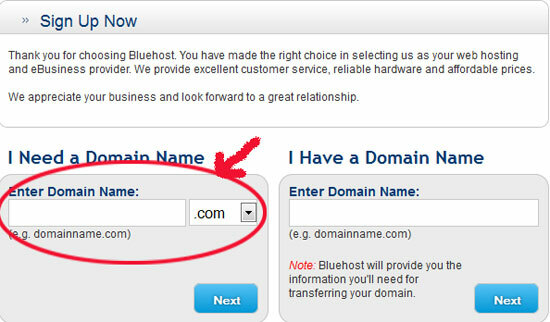 What’s nice about Blue Host is that they will give you a domain for free. Enter your account and billing information. Choose your hosting package. You will be given a choice of 12 months, 24 months or 36 months. The longer the time frame, the cheaper it will be. Click Next. You will receive a confirmation in your email. 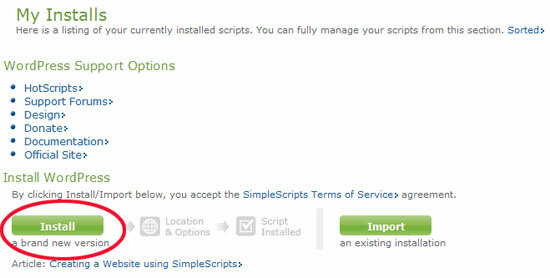 Click the icon that reads “Simple Scripts” under the “Site Builders” in your cPanel. 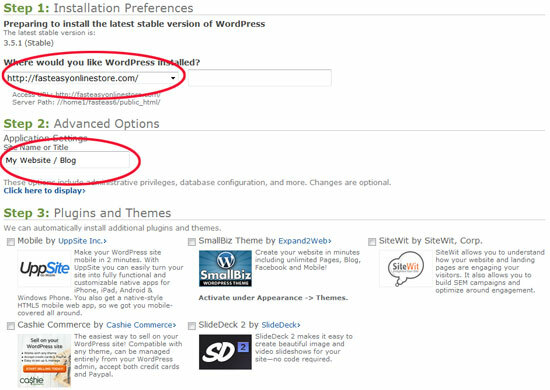 Enter your domain and fill in your blog name under “Advanced Options”. Make sure you uncheck all of the extraneous items. Agree to Blue Host Terms of Service. Click “Complete”. Now WordPress has been uploaded to your domain! 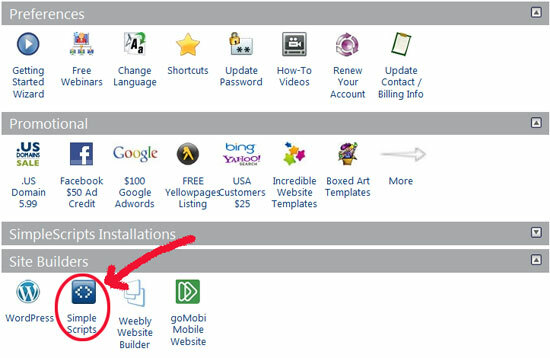 Once your blog is installed, you can login by typing in the following URL into your web browser. Enter in your own username and password to begin the podcast RSS feed process! How to prepare your environment for recording. Outsource2Africa.com – The cheapest place to have transcriptions created for your podcasts. This service is both reliable, high quality and inexpensive. Wow, Steve, this is amazing! I’ve been considering whether to start a podcast; the main issue for me right now is the time to commit to producing episodes consistently. Although, I suppose that shouldn’t stop me since I don’t publish posts regularly, either! I love your heart. I’m a member of the personal finance blogging community and have met some amazing people who are genuinely trying to help others through their blogs. 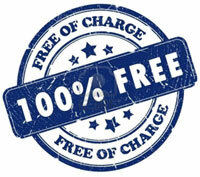 You embody that here by giving this information away for free. I can’t wait to dig in. You can be certain that I’ll purchase through your links and spread the word because that is an easy way to help support your efforts and show appreciation for what you do. Wow Ree. Thank you so much for the kind words. Hope you find the tutorial useful and please feel free to ask me any questions you might have. This is my first time here. I found your post on Buffer’s recommendation list so expect huge traffic boosts! I love your tutorial. Ive been meaning to start a podcast for a while but got busy with work. Thanks for the recommendations for the mics as well! Thanks so much for taking the time to create this tutorial. It was absolutely fantastic and truly educational. My question is this, my wife and I want to start a podcast together. So when it comes to wearing headphones, how can two people be using headphones when there is only one headphone jack on the computer? Thanks Talaat. You can buy a splitter on amazon which should allow you to plug 2 headphones into one jack. One more question. I am having a tough time trying to figure how to get the Chris’s Dynamic Plugin into Audacity. After I download the plugin on to my computer I have no clue how to get it into Audacity from there. This is really great Steve! It’s very helpful especially those who are planning to start their podcast and I love listening podcast too! Thanks so much for this, I’m blown away by the great content. I’ve just recorded my first episode and published it but waiting to do a few more before I submit the feed to itunes this weekend. I’m planning to only do a once a week show, hoping that is still effective! Really, really nice tutorial. Well, actually really nice set of tutorials. I recently launched a podcast. I already owned a Samson C01U USB mic, which I’ve used for a year or so of doing webcasts and video voiceovers. But it does sound a bit flat. I was impressed by Pat Flynn’s rich podcast vocal sound and discovered he was using a Heil PR40. I looked into this mic and a lot of people rave about it. I was tempted by the Rode as well (I use Rod Lavs and shotgun mics now for videos) but the Heil sound captivated me. BUT I was put off by this whole mixer thing. Pat had a little mixer. Cliff Ravenscraft had this massive mixer. As you say in your video above, this just over complicates things unless you want to tweak things live. So I looked into other options of how to take an XLR mic and plug it into your computer (I use an iMac, Call Recorder and Adobe Audition by the way). What I discovered was a lovely little pre-amp by Focusrite. It’s called the Scarlett Solo. It’s not expensive and doesn’t take up very much room (sits on the plinth) under my Thunderbolt display. It has a USB output as well as RCA connectors. It has a gain control with a nice visual peaking check and also provides phantom power if you need it. I really don’t understand all this mixer nonsense! Just get a this little pre-amp and you can use all the XLR mics in the world 🙂 Combined with the Heil PR40, it’s a very nice sound indeed. This truly is an amazing resource. Bookmarked! Use the PowerPress plugin as described and just connect the hosting account. It will save you tons of time and is a fully integrated solution. Steve, you’re the man, thank so much. You just made a new fan. I’ll be listening to your podcast for sure from now on. Thanks, Steve. For the last week or two I have not been able to stop thinking about podcasting – so maybe your stuff will remove any remaining hindrances to actually doing something! Where did you buy the holder for your microphone? I have been using a similar mic for awhile and it doesn’t have a the long adjustable stand/holder. Thanks for such a detailed post. I wonder what made you choose Outsource2Africa.com to do your transcription? I was looking for months to find a good guide to make a podcast. I finally found it and also pinned it. Thanks Steve.